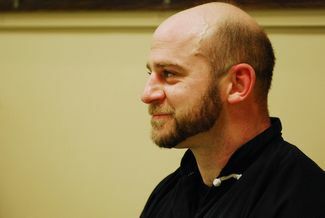 Sifu Patrick Donahue walked into the School of Martial Arts in Berkley, Michigan at 14 years old, completely unaware that this first visit would change the rest of his life, and the lives of thousands of future students. A gifted athlete who excelled in many sports, young Patrick Donahue began training extensively in striking, joint-locks, takedowns and grappling and had finally found the physical and mental balance he was searching for in his practice with Sifu Brown. 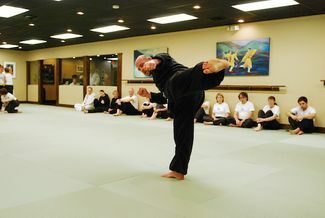 Sifu Donahue opened the Rochester School of Martial Arts in 2007. Today he teaches hundreds of students in one of the nation’s most rigorous and successful martial arts programs. He is a believer in intense physical training and discipline – and that by getting stronger physically you learn to use the body to condition the mind. What he demands of his students, he demands of himself first and foremost. He strives for excellence and surrounds himself with a team of dedicated staff, students and mentors.